A small and cosy family home remains a lifelong dream for many. And, you are about to fulfil this dream very soon. Congratulations! A word of caution though. In your enthusiasm to build a shelter for yourself and your family, don’t hurry through the planning stage. Meticulous planning will help you to see the successful completion of your project. Choose a design that seems perfect for the climate in your part of the country and your lifestyle. 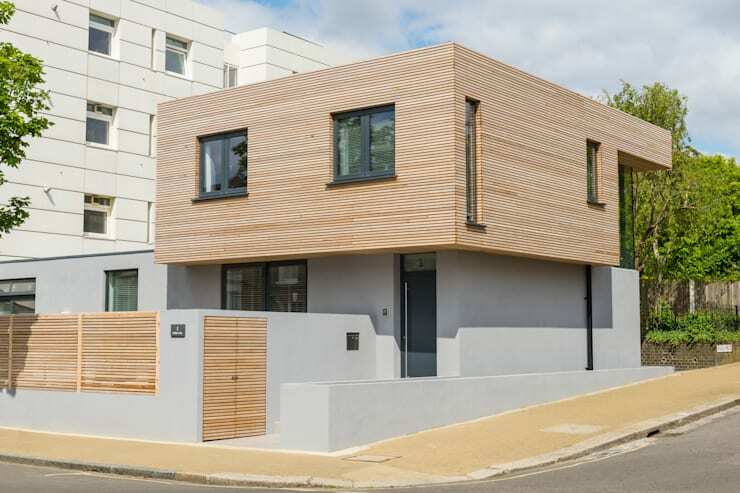 We are going to show you some stellar examples of detached family homes with walls. Take your pick. 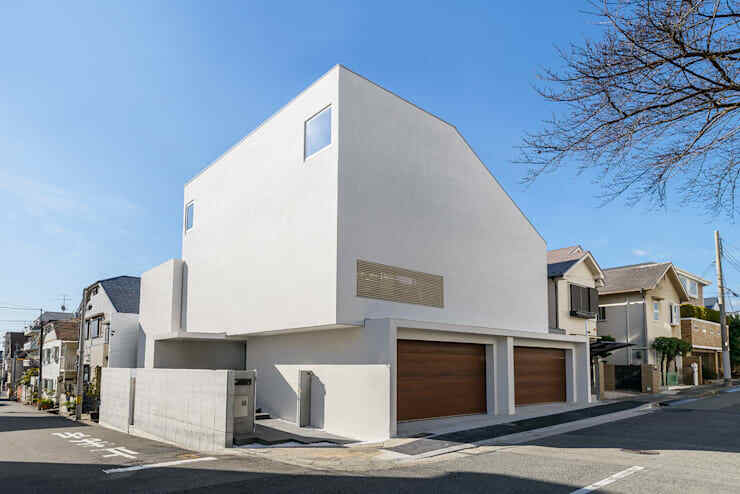 The creamy white façade and geometric structure immediately sets apart this two story family home from its surrounding. The garage is located close to the middle of the house. It also boasts of a beautifully designed front yard and simple but elegant boundary wall. 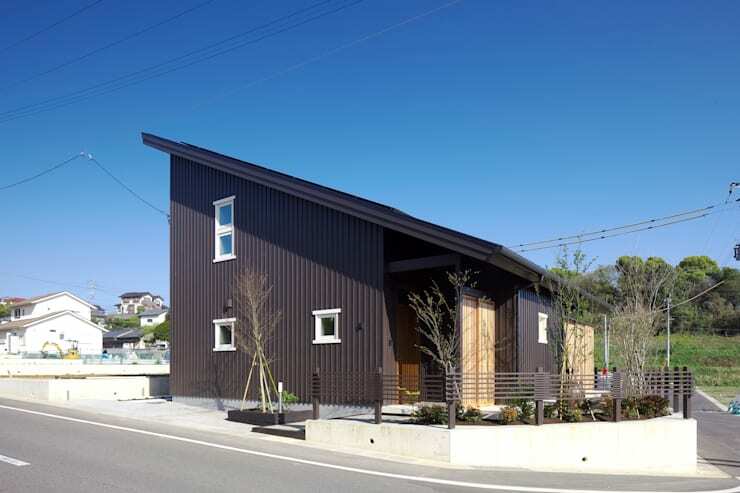 The house in the image above is set in a advantageous location. It is part of a calm neighbourhood and boasts of great views. The brick façade, illuminated with outdoor lighting fixtures, makes it look mesmerising. It seems simplicity of design never fails to get admiring glances from the passers-by. 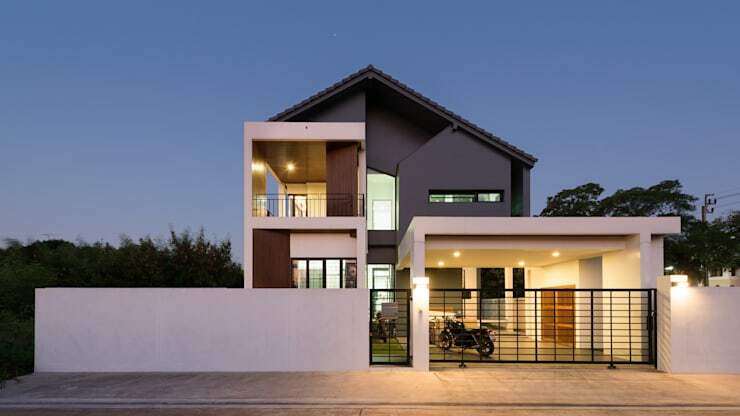 This house is another example of a simple two story family home with an elegant appearance. The house is designed with a small wooden deck. Low boundary wall surrounds the premises. The garage is set on the front yard. 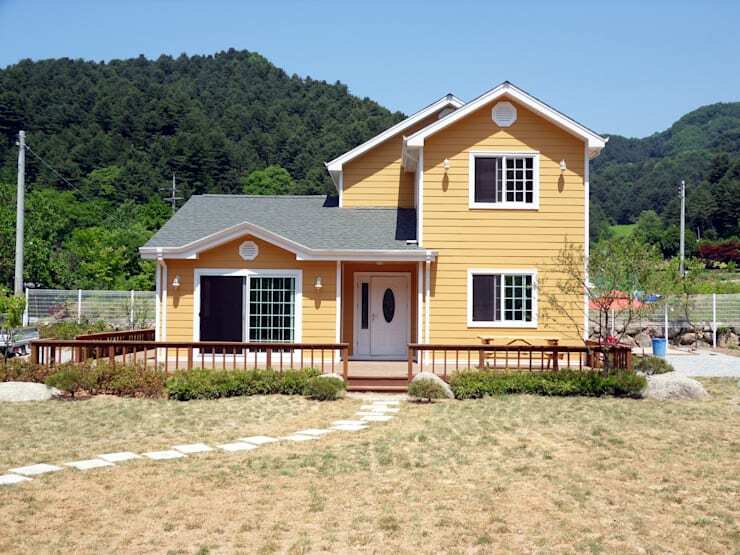 A small house like this set in an idyllic location may have been your dream for a long time. Now you can visualise your dream in real terms. Grab this opportunity. Choose a similar location for your primary dwelling or holiday retreat and enjoy a long walk in the woods in the summertime. The building itself is built in a contemporary fashion. But the wooden fencing is in tune with its beautiful surrounding. This detached house is set right in middle of the city. But its exterior, made prominent by the use of concrete and wood, makes it look unbelievably charming and tranquil. The boundary wall matches the design of the façade. 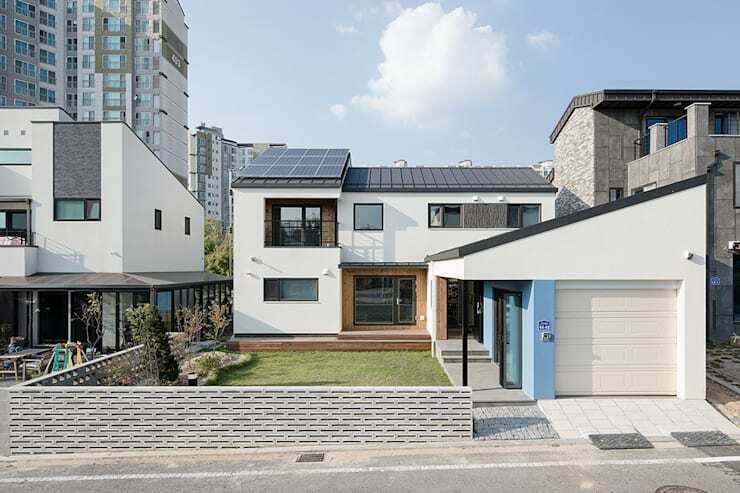 This family house, occupying a space of 643 square metre, boasts of a very interesting design. But that’s not its only hallmark. See how the architect has built two different layers of boundary walls studded with green plants to keep the hubbub of the city at bay. 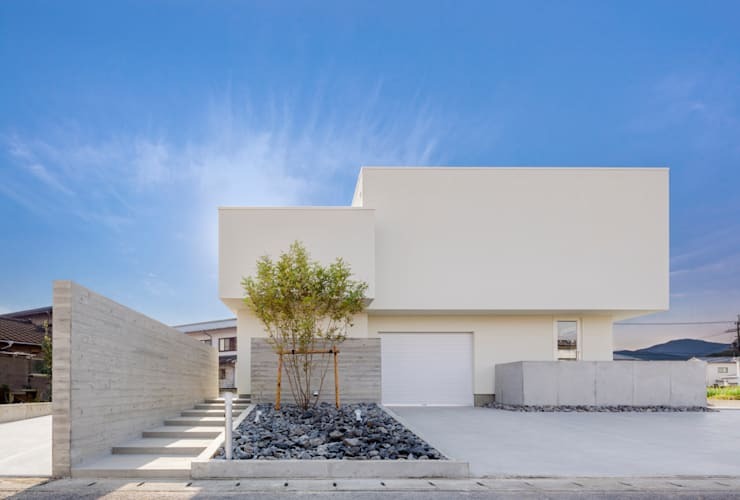 This contemporary walled family house takes a leaf from one of the most ancient architectural practices. It is built with a central courtyard which gives the owners much needed breathing space and a direct access to nature. 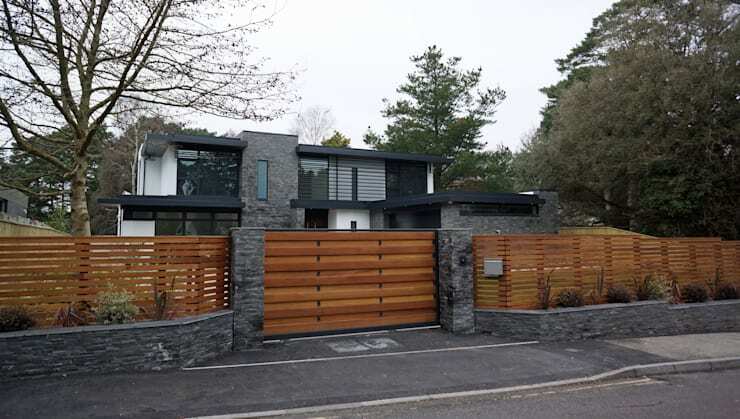 A combination of grey, white and orange with wood accent makes its façade look very attractive. Don't miss out on these smart tricks to decorate the interiors of your home. Use of boulder rocks to build the boundary wall gives this modern family house a rather rustic flair. The dark grey façade of the one story building is decorated with wooden panels. The style of the house is simple, but graceful. Use of prefabricated parts brings down the cost of building a house from scratch. 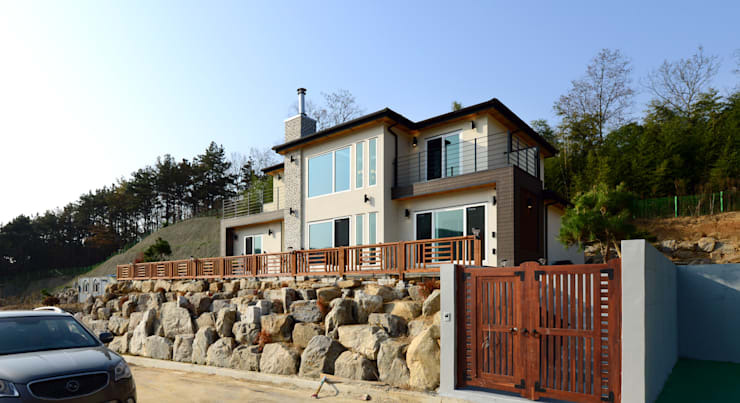 The architect of this house has chosen to use precast concrete blocks to build the boundary wall. 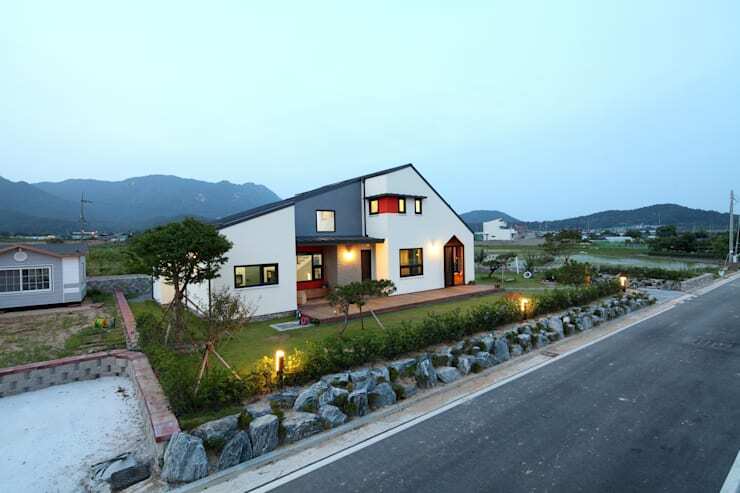 It perfectly complements the contemporary family house with pitched roof. Courtesy the wooden boundary wall decorated with green plants, the design of this house exudes a warm feeling. The building itself is decorated with white concrete façade and accentuated grey stone. 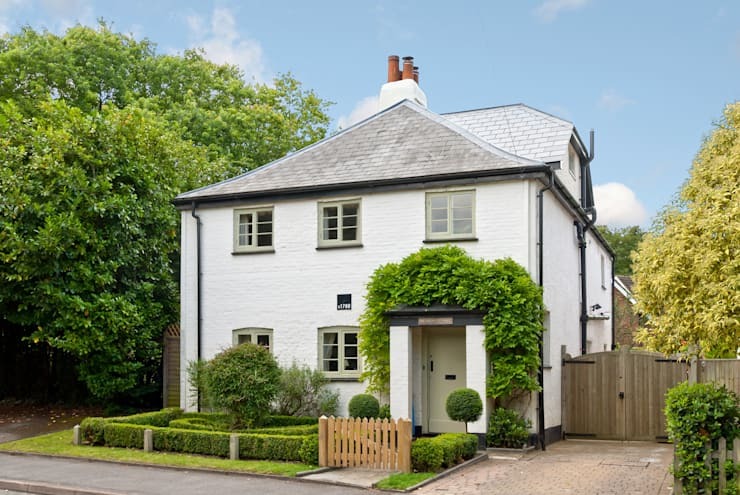 The classical design of this cottage sets it apart from the more recent constructions in the neighbourhood. See how the owners have accentuated the beauty of the façade with the help of an elegant front yard. The house also boasts of a spacious lawn on the backyard. To design a beautiful garden such as this, have talk with an experienced landscape designer today. 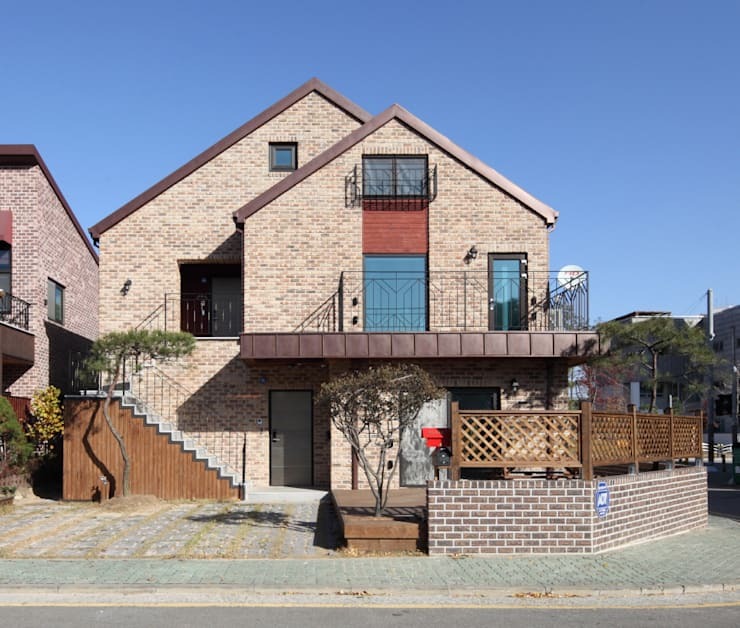 The structure of this two story residential building is unusual enough. Its charm is further enhanced in the presence of the trellis like façade. Also, don’t forget to have a closer look at the boundary wall. Its design is something which you don’t get to see every day. 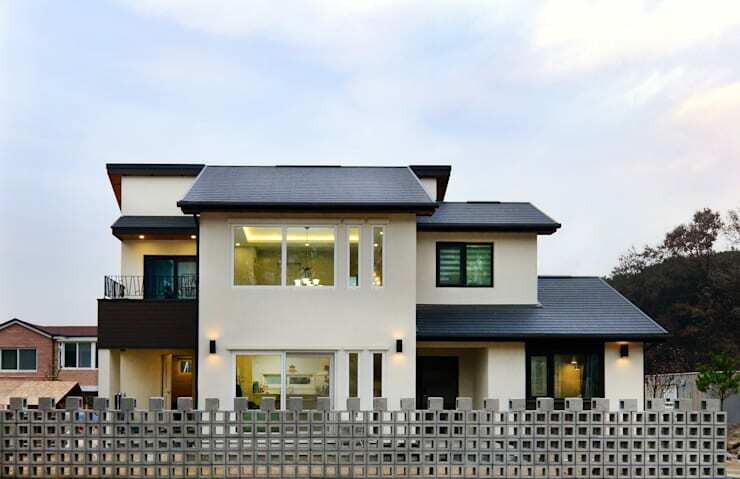 This two story family house is set on hilly terrain. Its façade unites the charm wood, concrete and brick. The stone studded ground with part wooden and part concrete boundary wall secures it from unwanted elements. 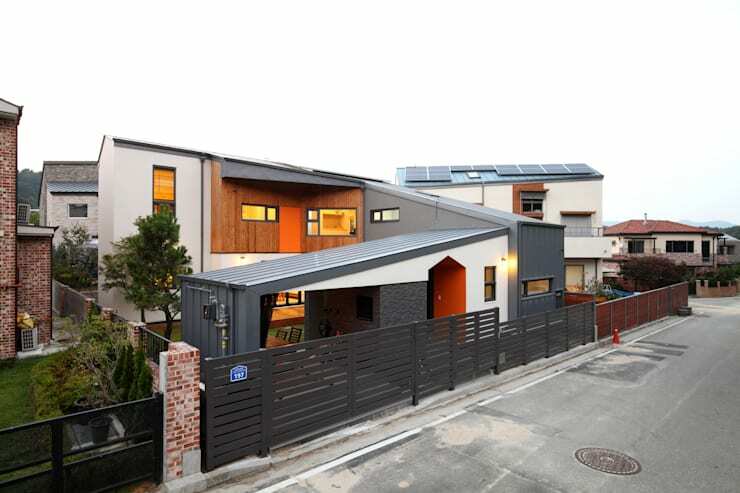 The quirky and colourful design of this house is bound to attract many admirers. 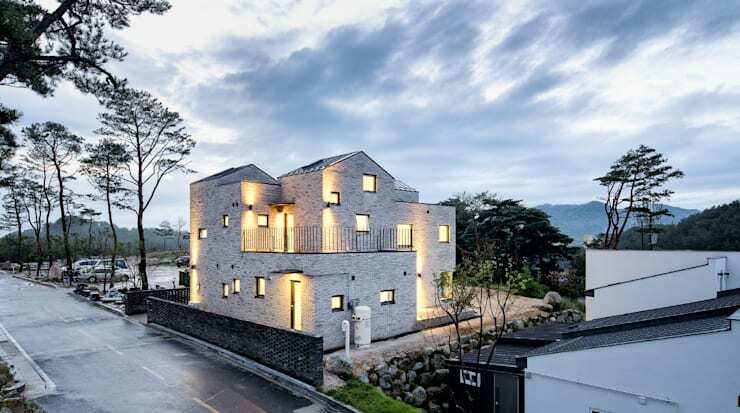 See how skilfully the architect has blended exposed brick wall, colourful doors and windows, small balconies and gable roofing system with dormer windows. The garden, studded with ornamental plants, play an important role in beautifying the exterior. This detached family home, set on its own ground, is decorated with shades of dark brown, white and blue. The carport has a prominent position. Spacious balconies on either floor give the owner an opportunity to enjoy the surrounding scenery. 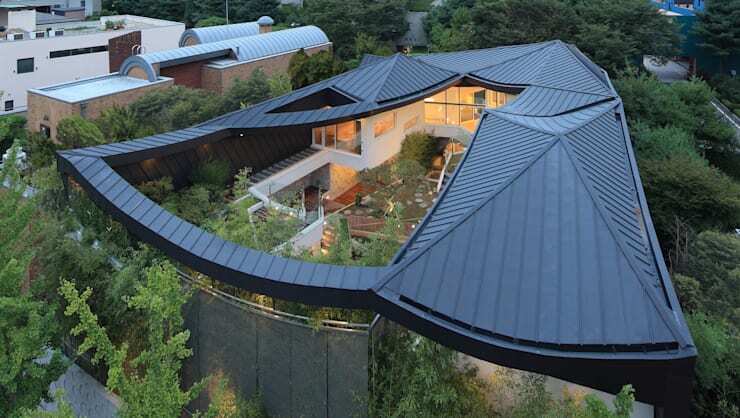 The dark brown exterior and steep pitched roof of this house immediately draw attention. Moon shaped boundary wall protects the small courtyard. 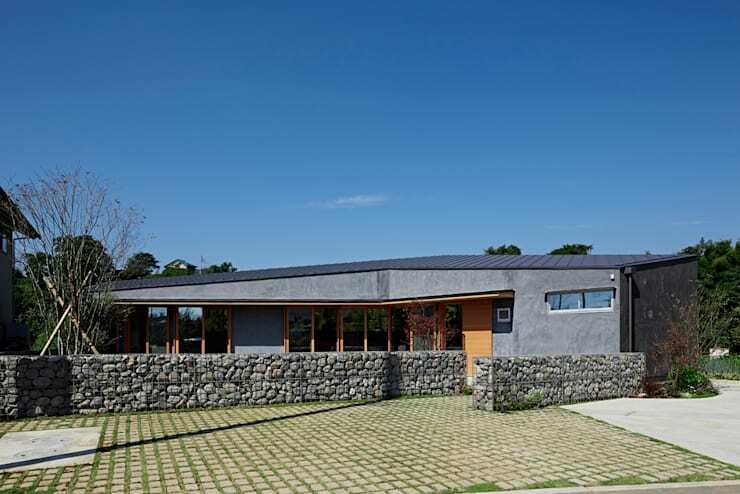 Solar photovoltaic panels, installed on the roofing system, promote eco-consciousness and energy efficient design. 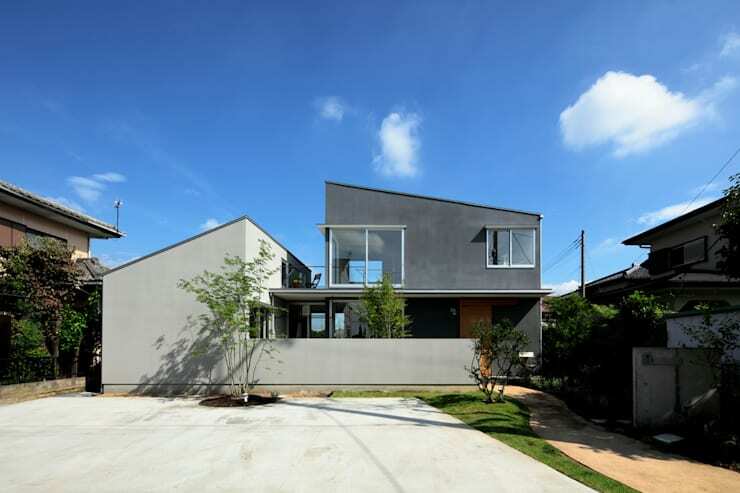 The design of the house gives the impression of two conjoined buildings nestled into one. The two arms of the buildings are separate in colours as well. A relaxing terrace acts as a bridge between the two arms of the residence. Not often do you see the use of such a warm shade on the exterior of a building. The warmth of pale yellow shade is duly balanced with grey tone gable roofing system, white sliding doors and windows and low wooden boundary wall. FA house occupies a corner plot. The architect, however, made an optimal use of the available space and designed a very comfortable and trendy small home for the owners. A double garage on the front proves to be a useful addition. 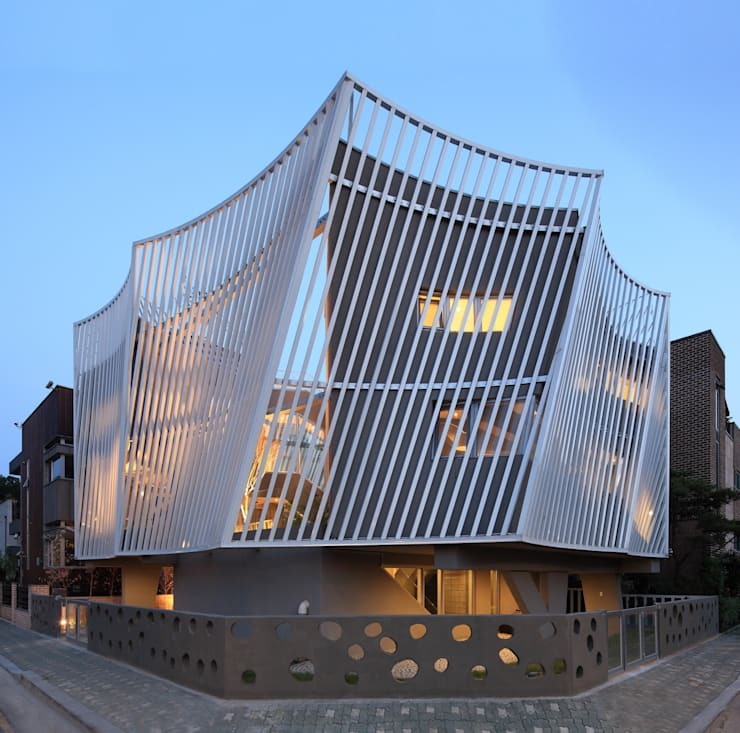 Such trend setting façade design is bound to earn your appreciation. See how a smart combination of different elements like exposed brick walls, spacious balcony, gable roofing system and unusual colour scheme defines the beauty of this family home. This detached house is located in a newly developed part of the town. The house is built on a reasonably spacious plot. It is stylised with sloped roof and predominantly white exterior walls. The mountainous terrain creates a scenic backdrop. 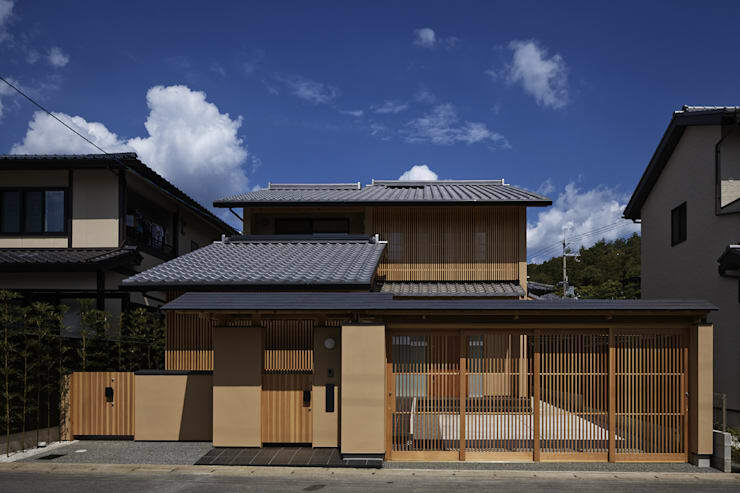 This charming detached house is located in Kyoto, a city known for its artistic and architectural accomplishments. Its modern structure is made prominent by the presence of tiled roof, warm beige tone and extensive use of wood. Check out these colour inspirations for the exterior walls of your house. Which of these small home designs did you find most attractive?